Sometimes 70 years of practice can be tasted. Roti-Mataba is a small Muslim restaurant in Banglamphu district that opened their doors in 1943. They still make a difference on their good days. A blend of Indian, Thai and Malaysian tastes. An added bonus is the Phra Sumen Fort, built in 1783 to defend against potential naval invasions. You find it on the other side of the road together with the Santi Chai Prakarn garden where you can walk of some of those calories you just dived into. A though job to stand above the hot plate all day. The baby powder is a necessity for this kind of work. The roti with banana and condensed milk is heavenly good. Many vendors and street side carts makes the roti far to sweet, but here it reaches perfection. It comes with bite-size chunks of banana squeezed between soft slabs of roti, but with a slight crispness on the outside. But don’t let yourself be fooled by the wonderful lightness they manage at Roti-Mataba, it’s still a calorie bomb. If you’re on a diet I suggest a tour around the Phra Sumen Fort after your visit, or even a walk home, but make sure it’s more then an hour away. 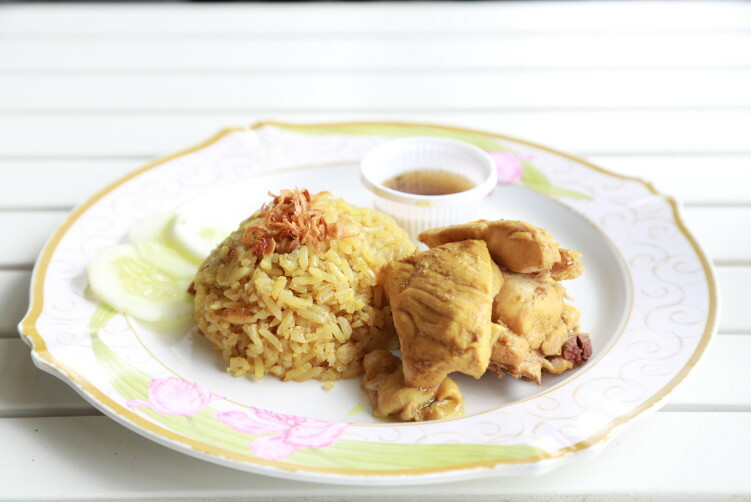 They also have plenty of other tasty Thai-Muslim dishes as well, such as the mild massaman curry, the fish curry (kaeng karii plaa) that comes with a sweet and sour sauce, mataba (má-tà-bà) – a stuffed pancake, and of course the biryani with rice or roti. Dishes like ox tongue stew and spicy ox tail soup is also on the menu. The mataba comes with fillings like fish and herbs or beef massaman stuffed into flaky yet filling roti and then pan fried. Many of the curries and other goodies are laid out on display downstairs. Just say “roti” or “rice”, and start pointing to what you like. I had a taste of the green curry that came with a healthy portion of white chicken meat, savory and well balanced without using too much coconut milk, but enough spices to make a small kick for the more sensitive noses. The portions aren’t overly big. Roti-Mataba have gone a long way since it was founded by Abdul Kareem in 1943, coming form the South of India. While India were thrown into World War II’s turmoil, Thailand remained a relatively peaceful place where he decided to settle down. In other words a long time before the nearby Khao San Road became a hotspot among travelers. But the Thai’s quickly embraced Kareem’s roti bread, including the stuffed version with Indian and southern Thai curries to make mataba. Today the menu is rather overloaded with combinations of the same dishes, but you get the picture. It’s probably a result of trying to expand the business. The english is good enough to take your order, but don’t expect a conversation. The service is a bit so so. Over the years I have dropped in for the good food when in the area, and the good food has been the sole reason. It’s not the resto to celebrate your 10th anniversary of something. There are hints that this classic Bangkok eatery stretches the luck as their popularity sometimes affects the quality, but the curries and the roti is still normally very good. In other words, the picture is more mixed then just a few years back when it comes to quality. Some years ago it was just perfect, today they have their bad days. You can choose the upstairs air-con dining area with the cheapest neon light quality there is in a freezing cold environment or sitting at one of the three tables outside. I definitively choose the last option, the upstair area will give you a cold before you finished eating. The grumpie auntie making the roti is a bit of a character, with her face covered in baby powder (as it prevents her sweatting over the heat). Once and a while she gives her husband and the colleauges the clear message. But you just have to admire people who dedicate themselves to work on a heated pan and make the same stuff day in and day out to make you satisfied. Karrem has stayed true to the cuisine of his homeland, but at the same time been able to include tastes of his adopted home. The culinary roots from India blended with Malay and Thai flavors makes the food unique. They are still on the list list of Bangkok’s best Indian restaurants when the performance is at it’s best. https://sheisfiercehq.com/shop/ https://sheisfiercehq.com/shop/ Open: Tuesday-Thursday 10am-9pm, Weekends 9.30am-9.30 pm. Closed Monday. Address: 136 Phra Athit Rd. 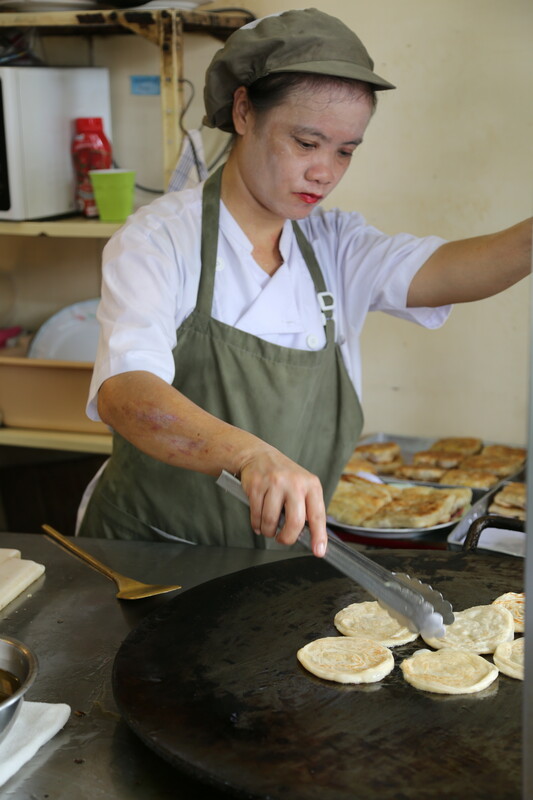 How to get there: Roti Mataba is situated on the northeast end of Phra Athit Road, right across the street from Santichaiprakan Park and Phra Sumen Fort. From the Phra Arthit express boat pier, head straight out of the pier, cross Phra Athit Road, take a left, and the restaurant is a short way down on the right. 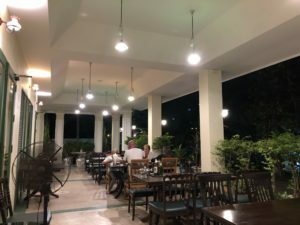 From Khao San, walk all the way northwest on Soi Rambutri until you hit Phra Athit Road, then take a right, and the restaurant will be a short walk away on the right. 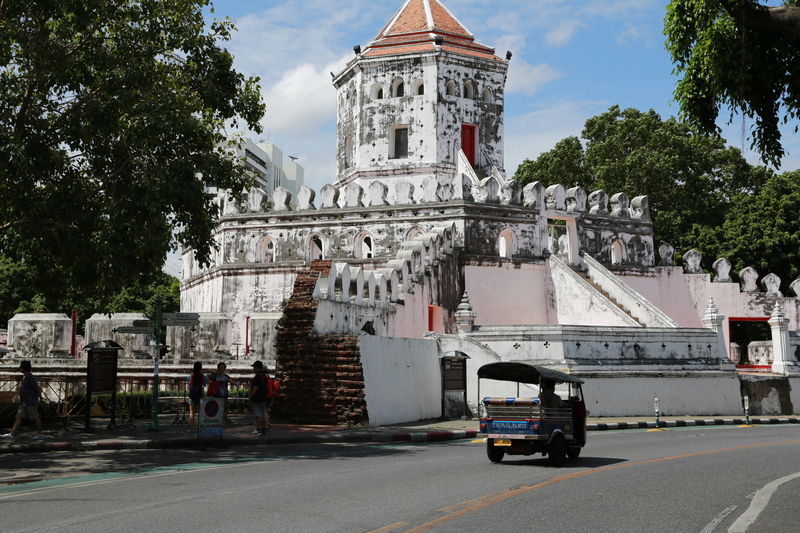 Turning left onto Chao Fa road is Wat Chana Songkram, a Mon temple that was built in the Ayuthaya Period. It was previously called Wat Klang Na. The ancient style decoration and Mon’s swan figures still remains. King Rama I’s Crown Prince had the site renovated and renamed as Wat Tong Pu. In 1787, the Crown Prince came back from war, took off his sacred vest and put it with the main Buddha image. The image was rebuilt and called Luang Poh Pu and the temple was renamed again into Wat Chana Songkram (war winning temple). If you cut through Rambutri road to the busy junction with Sip sam Hang road, you will find another attraction in Wat Bavorn Nivet Vihara which actually is a combination of two temples (Wat Rangsisutthawas and Wat Mai). King Rama III built this temple and asked Rama IV to be the abbot here. Many Kings of the Chakri monarchy entered their monkhood in this temple. And the Chinese style decoration on the roof mirrors the close relationship between China and Thailand during this period.